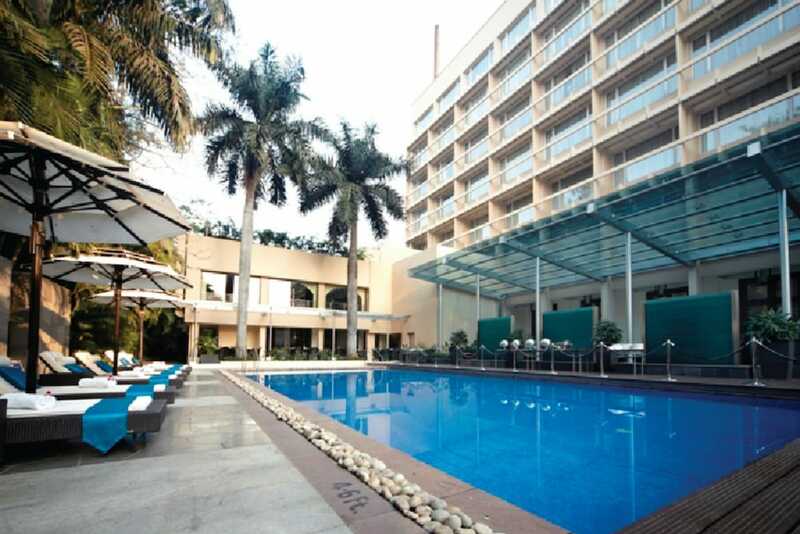 In addition to a full-service spa, Blue Diamond Pune features an outdoor pool and a health club. Dining is available at one of the hotel's 3 restaurants, and guests can grab a coffee at the coffee shop/café. The property also has a nearby snack bar/deli. A bar/lounge is on site where guests can unwind with a drink. Public areas are equipped with complimentary wireless Internet access. Business-related amenities at this 5-star property consist of a 24-hour business centre and a limo/town car service. Event facilities measuring 10226 square feet (950 square metres) include conference rooms. This luxury hotel also offers a steam room, spa services and tour or ticket assistance. For a surcharge, the property provides a round-trip airport shuttle (available 24 hours) and a train station pick-up service. Complimentary valet parking is available on-site. The property may provide extended parking privileges to guests after check-out (surcharge). Blue Diamond Pune is a smoke-free property. Located in the heart of Pune, this luxury hotel is 0.4 mi (0.6 km) from Bund Garden and within 3 miles (5 km) of Aga Khan Palace and Shaniwar Wada. Phoenix Market City is 3.1 mi (4.9 km) away. Pune Junction Railway Station is 23 minutes by foot. Along with 3 restaurants, this smoke-free hotel has a full-service spa and an outdoor pool. Free WiFi in public areas and free valet parking are also provided. 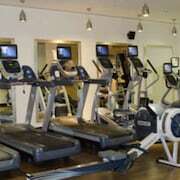 Additionally, a health club, a bar/lounge and a coffee shop/café are on-site. All 110 rooms offer free WiFi and free wired Internet, LCD TVs with satellite channels, and comforts such as memory foam beds and premium bedding. Guests will also find 24-hour room service, DVD players and minibars. 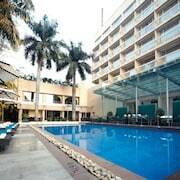 Blue Diamond Pune offers 110 forms of air-conditioned accommodation with DVD players and minibars. Memory foam beds feature premium bedding. A pillow menu is available. 32-inch LCD televisions come with premium satellite channels. Bathrooms include a shower with a rainfall showerhead, a complimentary bathrobe, complimentary slippers and designer toiletries. Guests can surf the web using complimentary wired and wireless Internet access. Business-friendly amenities include desks, complimentary newspapers and telephones. Additionally, rooms include laptop-compatible safes and complimentary bottles of water. A nightly turndown service is provided and housekeeping is offered on a daily basis. Mystic Masala – This theme restaurant serves lunch and dinner. Guests can enjoy drinks at the bar. Easy – This restaurant only serves dinner. 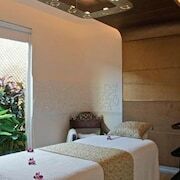 JIVA SPA has 2 treatment rooms. Services include deep-tissue massages, body wraps, body scrubs and body treatments. The spa is equipped with a sauna and a steam room. A variety of treatment therapies are provided, including aromatherapy and Ayurvedic. Pets are allowed for an extra charge of INR 3500 per pet, per night.